Eye pressure / Intraocular pressure (IOP) is the fluid pressure inside the eye. In the healthy eye, a clear fluid called aqueous humor circulates inside the front portion of the eye. To maintain a constant healthy eye pressure, the eye continually produces a small amount of aqueous humor while an equal amount of this fluid flows out of the eye. This is done using a Goldmann Applanation tonometer as part of a comprehensive eye examination. Normal eye pressure ranges from 11-22 mm Hg. Differences in pressure between the two eyes is often clinically significant, and potentially associated with certain types of eye diseases. Sometimes, the optic nerve can get damaged even with an eye pressure which is consistently in the normal range. Increased Ocular pressure – Ocular Hypertension & Glaucoma. If the aqueous humor is produced excessively or is not being drained out properly, the fluid pressure in the eye builds up and, over time this is called Glaucoma and it causes damage to the optic nerve. Ocular hypertension is the most important risk factor for Glaucoma. Intraocular pressure equal to or less than 5 mmHg could indicate fluid leakage and deflation of the eyeball. In Glaucoma (Black/blue water) one may not have any early symptoms. Sometimes eye pain, blurred vision, headache & haloes around light are noticed. The disease progresses slowly and can steal one’s sight very gradually. 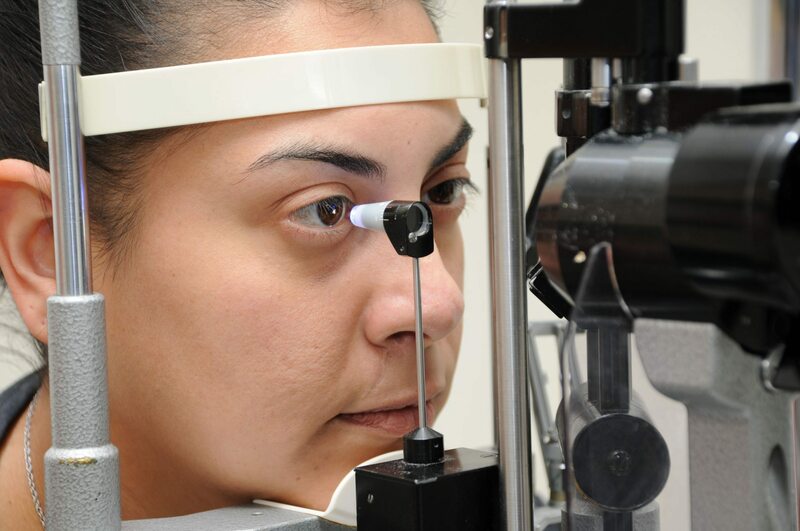 Eye drops to lower eye pressure can slow or halt the progression of open angle glaucoma. Sometimes laser or surgery is needed to lower the eye pressure. Fortunately early detection and treatment can help preserve vision. Hence, regular monitoring & follow-up with an eye specialist is very important.